This Wordless Wednesday, the good folks at BlogPaws are continuing the important monthly theme of "Get fit with your pet!" 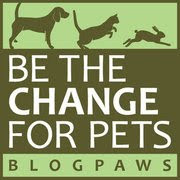 As we know, "follow through is everything", so exactly what are you doing to help you and your pet get and stay fit? We'd love to know! Meanwhile, back at the Ohio ranch...it's been tough to stay fit (and for Parental Unit to continue her weight loss) with all of Central Ohio's bad weather. Sub-zero temps and even lower windchill followed by an ice storm, have kept us to only one longish walk a day. I don't mind this weather, but Parental Unit hates it! 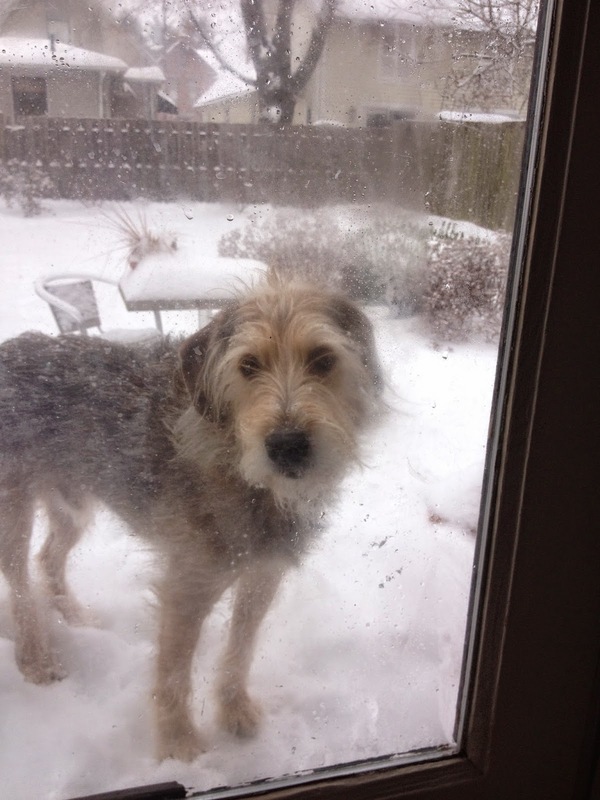 Let me in, would you! Did I say I didn't mind this weather? 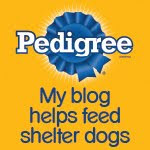 Now on to the BlogPaws Wordless Wednesday Pet Blogger Hop to meet some fellow exercisers! Here's hoping a warm front hits you guys soon! Yes, I can definitely attest to the cold and icy Ohio weather lately. I don't mind it too much as long as we get some snow. Happy Wednesday! We so hope the weather improves for you. Have a wonderful Wednesday. I been waitin for warmer weather for my walks. My peeps hate ice storms too. We go for backpack walks every day, and play fetch in our yard :-) We were supposed to get an ice storm this morning, but thankfully the weather people got it totally wrong!